Empire Resources (ASX: ERL) has today confirmed further high grade gold intercepts from a second round of Reverse Circulation (RC) grade control drilling undertaken at its new Penny’s Find gold mine, situated 50 kilometres northeast of Kalgoorlie, WA. This drill program was designed to provide grade control information from 30 metres to 60 metres depth in the open pit where mining is currently at 27.5 metres depth. A total of 48 holes for 1,943 metres have been completed on a 10m X 10m pattern inclined at -60 degrees along the length of the gold ore zone. An additional 13 holes, totalling 500 metres, remain to be completed. As expected, the grade control drilling has returned numerous high grade gold intersections, confirming the original geological interpretation of the orebody. The second round of grade control drilling has further bolstered confidence in the geological model being used for Penny’s Find. As anticipated, open-pit mining operations will shortly be accessing the higher grade part of the ore body. With a total average open-pit grade of 4.62 grams per tonne of gold to a depth of 80 metres, this project provides ERL with an excellent production opportunity. With gold prices surging to a 52-week high, ERL’s timing could scarcely be more apt. However, it is still in its early stages and investors should seek professional financial advice if considering this stock for their portfolio. ERL holds 60% of the Penny’s Find project, with the remaining 40% interest held by unlisted company, Brimstone Resources Ltd. The mineralisation at Penny’s Find extends to 250 metres below surface and remains open at depth. High grade gold mineralisation is hosted by quartz veins at the contact between sediments and basalt. Both oxide and fresh mineralisation are free milling with up to 98% and 99% recoveries achieved in testwork respectively. 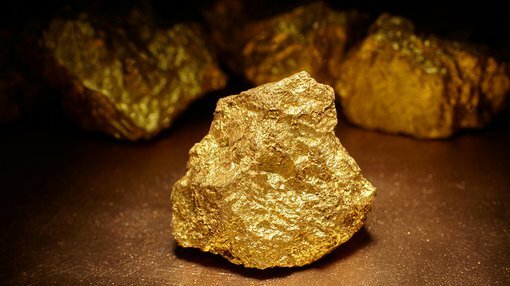 There is also a high gravity recoverable gold component, 53% for oxide and 85% for fresh. ERL is currently assessing possibilities to take the mine underground when known open-pit zones are exhausted.